I like this fountain most. I like it, because it is so small and also somehow humble. 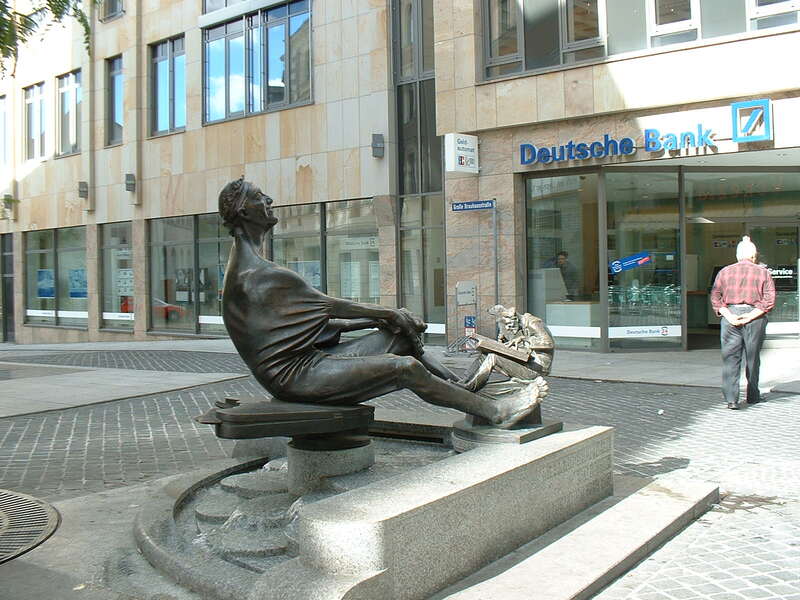 The man on the fountain is a well known citizen of Halle - Zither-Reinhold (1878-1964). He was a musician, entertaining the people on the streets. The fountain is located at the middle of the Boulevard. The Boulevard is the main street in Halle with many shops. Nearby is the Leipziger tower, which was part of the former city wall. The fountain was built in 2002 during the reconstruction of the Boulevard.